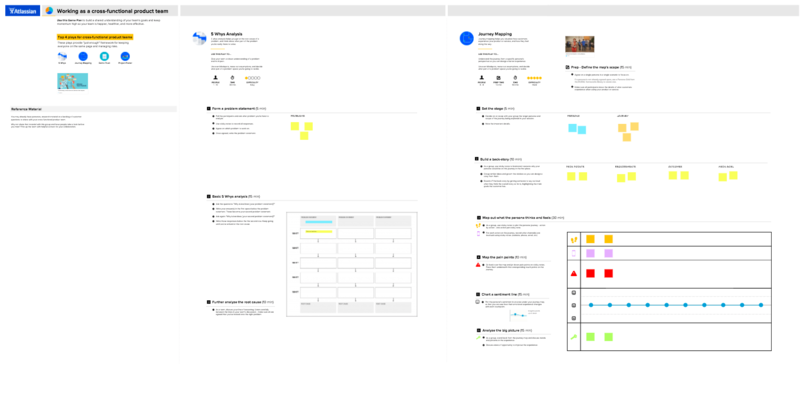 Atlassian, an enterprise software company and MURAL partner, has created an in-depth guide to activities that enable teams to identify common pain points and find relief. These individual "Plays" combine into "Game Plans" that any team can use to solve real-world challenges. To help you get started quickly, we've created templates that give you one-click access to a digital set of the activities. Because they're digital, you can invite anyone to join from anywhere in the world. And because they live online, the conversation doesn't stop when the workshop ends. Instead, they become living documents, providing history and perspective throughout your projects. 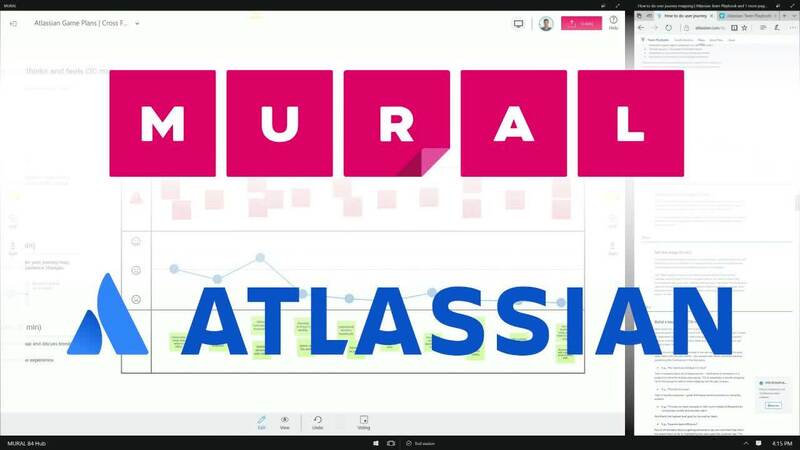 This MURAL template combines four of Atlassian's go-to plays that will foster a culture of shared understanding, common goals and strong momentum. This MURAL template provides a separate zone for each individual play. Together, these plays provide "just enough" framework for keeping everyone on the same page while effectively managing risk. Create a mural from this template to begin with detailed directions. Create a mural from this template to begin from an empty blueprint. Atlassian believes all teams have potential to do amazing things. They developed the Team Playbook to transform the way people work. And it has. As Atlassian puts it, "This ain't your CEO's ivory-tower management book. It's by teams, for teams. You'll find step-by-step guides for tracking your team's health, and plays that build your Get $#!τ Done™ muscle."